We were so to us of previous years' successes and all the lovely contestants, we decided to make everything even bigger, crazier and more colorful in 2016. The world's most fun events Color Obstacle Rush will now also to Sweden! 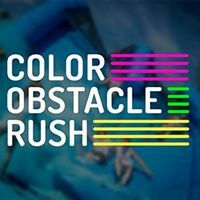 We don't know of any upcoming events for Color Obstacle Rush. You can check out our list of past events and reviews below, or if you know of an upcoming race, add it to our calendar!